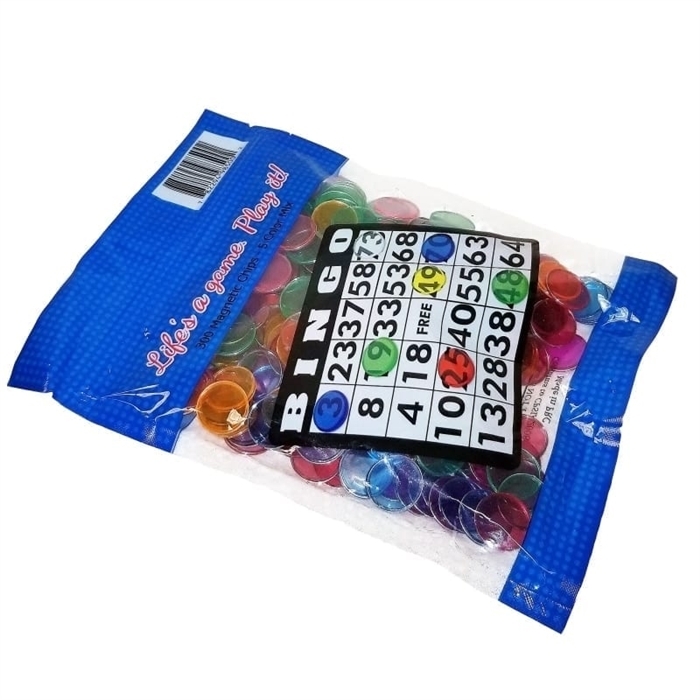 These 3/4 inch Bingo magnetic chips are great for use with the magnetic wand. Chips are sold by the bag, and each bag has 100 chips. Bingo Plastic Chips 3/4" - Tub of 300 Bingo Magnetic Wand Bingo Ball Magnet With 100 Magnetic Chips Bingo Smiley Face Plastic Chips 3/4"